damn! let me be the first to say what a classic mix this is.brings back many memories of both citrusonic and more,,,much props keep it up. i cant believe this is up here!!!! wow, real memories here! this stuff changed my life forever!!!! I honestly feel blessed that I was able to experience and be a part of the LA scene back then, so many beautiful raw emotions get stirred up inside me every time I hear these tracks! Thanx for this upload and preserving one of the SOUNDTRACKS TO MY LIFE! Wuzzzup Scott! Excellent id’s..thank you buddy! Dude…I have a story which could maybe give you a little info in hunting down the track. I was over at Doc’s house buying records in the early 2000’s and he was showing me some old recs and he goes…”oh yeah do you want this one? It’s on one of my old tapes and people have been asking about it but if you dont want it I’m just gonna bury it.” I listened to the track…recognized the sample and the tune….but wasnt really into it.. (I already had a huge stack of records and I was starting to have to be picky.) So I passed on it….<<<idiot. hahaha But another thing I remember though..and the important part..it was from a compilation. I remember Doc also saying it was a very rare comiplation. Anyways…maybe that will help. I totally understand the hunt dude!!! I'm still on the search for a bunch of missing tunes. Discogs and Youtube sure have helped though for sure! Definitely gamechangers. Josh…thanks for responding. I gotta dig deeper into your brain here….can u think of anything else to clue me in on track 2? Also, happen to know what follows Zero B – Lockup?…..Btw, I believe we both spun in Costa Mesa…Beej, and few,others were on the ticket….year 93 or 94. Also, I played the terrace at Halloreena San Diego Sports Arena….werent u my partner for their 92 event. Ok, 3 ?s to answer here…look forward to your response! 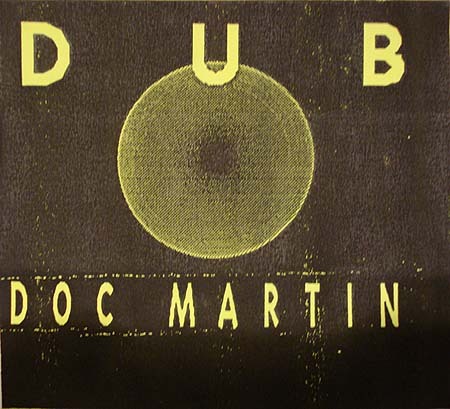 3) Doc can take any 20 records and play them in the exact order that they should be played. 4)Doc never played a straight line, but rather a gradual rollercoaster. 5) Doc is the difference between a good dj and a GREAT dj! 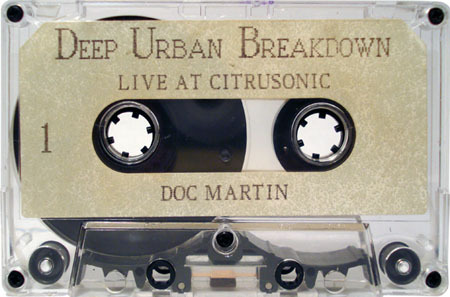 6) Live @ Citrusonic was a mix where Doc took you by the hand and guided you thru the tunnel all the way to the end. 7) When I get my chance, I will take you thru a journey. I have bassed every mix I’ve made as a now 24 year dj, on his style. Its a template for me, and has been for the others worth mentioning. “Take people for a ride” .Listen to your records, then make sense of them, understand their connotation, and play them in a way that makes the most impact! I speak very humbly as there are a million djs better than me. BTW, anyone readin this should listen to Josh McClintock’s mixes….he understood mixing as I feel defines a great dj! FYI The artist on Side B #17 is Charvoni. Scott, thank you for the kind words buddy! Unfortunately I don’t know any more of the tracks on there…but If I come across it of course I will post it up here. This is a historic tape and it would be really cool to ID all the tracks. Scott..man I had some really fun times in San Diego. ’92-’94. But man, I can’t remember hardly anybody I was working with cause I didnt go down that often. It’s all very blurry…but I do remember having an absolute blast every time I went down and everyone being extremely nice. I agree with your words about Doc…definitely a rollercoaster!! Doc was very inspiring to me as well! Take care dude! Check out my mixes on Soundcloud! Are you on there? Also , check out Nature Boy’s channel on YouTube. He has some awesome tracks posted! Hey NB, good to see ya up here. Lost contact with you when the ‘mixtapes’ group dropped from myspace. Checked out your vid @ Whistler and realized I also have you in my favorites aleady as ‘heavenlyhouse’ in youtube. Josh, feel free to take a stab at these, as you’ve been really helpful so far! BTW, ACID JUNKY is an oustanding mix…downloaded it for my personal pleasure! I actually sent a clip of track 2 to a friend a few weeks ago. He used to play it. But he couldn’t ID it, other than to say he thought it had dancing stick figures on the cover. I added links to your mediafire clips on my Youtube page. I’ll let you know if someone responds. I assume you’ve tried TuneID.com? NB……thank you so much for taking your time to do extra, man! What can I say…that is just cool. I am going to repost these links to tuneid tonight..
Merry Christmas Scott!!! I randomly came across this track just now searching Discogs. This would be the track directly after Mystic Sister. Josh!!!!!!!!!!!! Thank you so much, man! what a gem. Your welcome buddy!!! Still looking for the other ones. right after ‘ The Genesis – care bout ya’ , Doc brings in a mix which I thought was all part of the The Genesis song…..the track sounds like the signature instrumental of The The – Uncertain Smile ….and has a dog barking in the faint background while the lady chants ” ooh, ooh, yah, yah” over and over a few times. And yo…there is actually another track between 10 and 11 on side 1. I have 10 and 11 and I’m positive there is a track between them. Yeah, there is a track between them. It’s been one of my most wanted’s for years. There was a DJ here in Vancouver who played it. When I asked him for an ID, he couldn’t remember the name only that the artwork featured stick people dancing…?? Citro, More, Flammable, Sketch Pad, etc… the days of the underground. Forever etched in memory. If I had a time machine and could go back to any time in history it would be THIS time that I was fortunate enough to experience in real life. To do it again would be incredible! Holy crap Mike!!! That is a HUGE spot!!! Scott has been searching for that for over 20 years!!! Great job buddy!!! Hah. He is going to freak out. Damn straight I’m freakin out, Nature Boy….its like you know me man! Good fricken grief….20 years, Josh. Hate to sound ungrateful cuz I really could hug you all……but, next quest….what’s between track 10 and 11? I remember Mark E Quark from San Diego was the ONLY other person I heard play that in-between track. Thank you so much Mike C!…Josh…and NB for keeping this forum going. This made my day. Happy New Year Josh and Nature Boy! I thought i would ressurect this string/link. 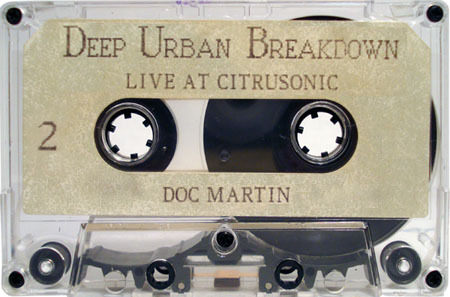 Since the last post, I have posted Doc Martins Live @ Citrusonic, along with a few of my mixes on Youtube. Sup Scott!! Happy New Year man!! That’s dope! !